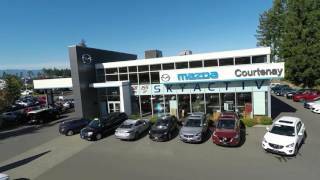 For these and many other great videos by Courtenay Mazda, please visit our Youtube Channel or click on any of the links below! It's among the coolest-looking cars in the world. It's a darling of drivers looking for terrific handling on a tight budget. Fuel economy is at the top of the class. The hatchback is a hot little hauler. And you can finally get the more powerful of its two engines with a manual transmission -- zoom, zoom! So why does the Mazda 3 lag so far behind duller rivals like the Toyota Corolla, Chevrolet Cruze, and Hyundai Elantra in the compact-car sales race? 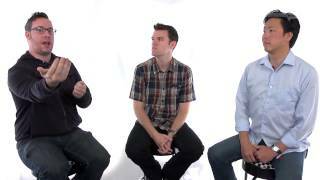 To find out, this video review examines what's good and what's not so great about the 3. 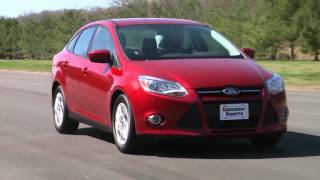 Ride along as we assess its prices, features, specs, fuel economy, release date and more. 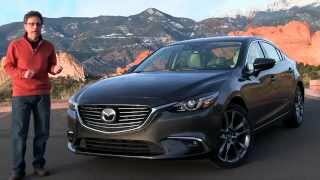 The 2015 Mazda3 Ranks #1 and Top in its class vs. 2015 VW Golf and 2016 Hyundai Elantra. Not only does the CX-3 stay true to Mazda's sporty image, it also feels unusually upscale and substantial for its segment. 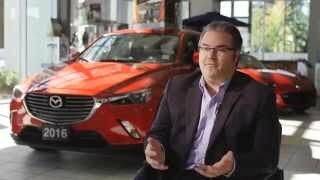 With the same 2.0-liter four-cylinder as in the Mazda3, the CX-3 SUV should return great fuel economy. 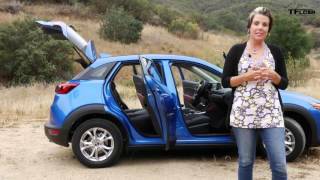 2016 Mazda CX-3 First Drive Review- New Zippy & Peppy AWD Mini-ute SUV. 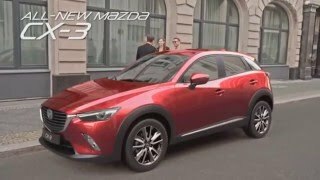 The 2016 Mazda CX-3 is a brand new compact crossover that is set to compete with cars like the Honda HR-V, the Fiat 500X and the Nissan Juke. 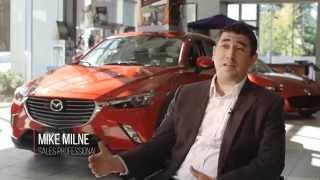 In this first drive review Emme reviews the newest Mazda to hit your local showroom. 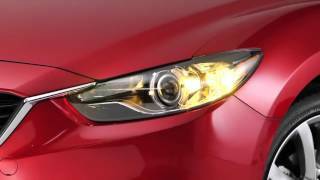 The 2016 Mazda CX-3 is a new age sub compact AWD crossover. It's designed to be frugal, tidy and fun to drive, but how will it do off-road in the slowly Colorado Rocky Mountains? 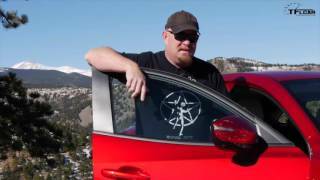 In this TFLcar snow Off-Road review Nathan find out. 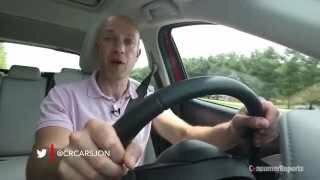 2016 Mazda CX-5 Review - The #1 CUV For Driving Enthusiasts. 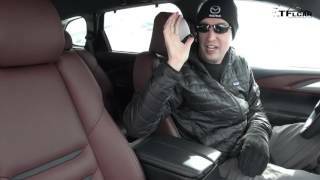 Josh (from Right Foot Down) takes the 2016 Mazda CX-5 out for a mix of back roads driving and everyday errands to see how much fun has been baked in to this crossover. The 2016 Mazda CX-5 gets an update. Canadians will like the style and handling. 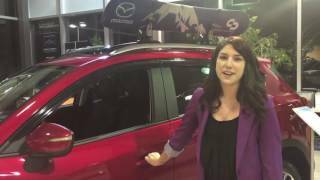 Canadians love small crossovers and SUV, this Mazda CX-5 is a great choice for Canadians. Which is the best compact crossover SUV for you and your family? 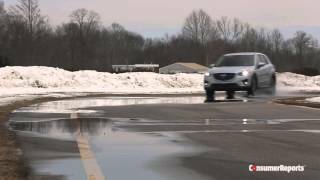 Accompany us on a fast-paced video review of the compact crossover that handles like a sports sedan, gets the mileage of an economy car, and slices through snow like an SUV. 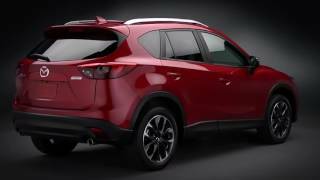 The 2016 is the best-ever Mazda CX-5, too, with cool new styling touches, an elegantly updated interior, and newly available safety features. Fuel economy is near the head of the class. So is passenger room and comfort. And it's priced competitively. So why is it so far down the class sales charts? Mazda made some design tweaks and updates for the latest CX-5. It's got a nicer interior, more refined center console and gives you the feel of a sporty car. It's the best value, and it's always the most fun: The CX-5 has been refreshed for 2016 and that put it at the top of our list. 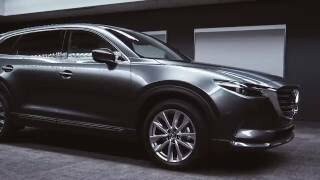 2016 Mazda CX-9 - Gone is the old car's six cylinder and like many other new car's Mazda has gone with a small displacement turbo-charged 4 cylinder. 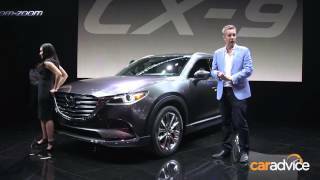 In this exclusive TFLcar everything you ever wanted to know video, Nathan gets the early scoop on the all new 2016 Mazda CX-9. Can a drive be rejuvenating? 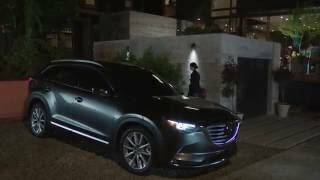 See how the all-new Mazda CX-9 helps a busy architect re-energize during her drive home. 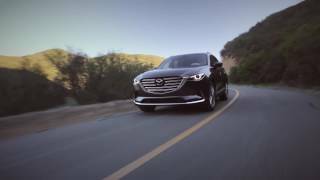 See how SKYACTIV® TECHNOLOGY and superior engineering make the 2016 Mazda CX-9 perform like no other three-row SUV. 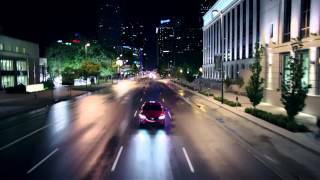 The 2016 Mazda CX-9 is more than just a family car. 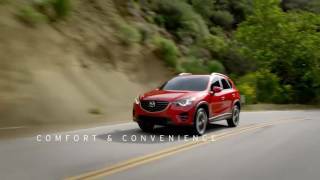 See how our three-row SUV blends style, comfort, and SKYACTIV® performance in one beautiful package. 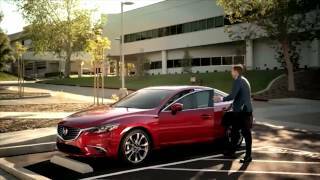 Compared to the sea of "me-too" mid-sized sedans, the Mazda6 stands out. Sleek styling and sporty handling make it more engaging than the norm, yet excellent fuel economy shows it has a practical side. 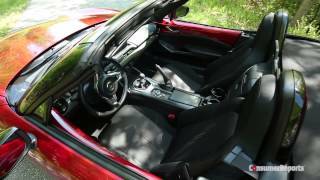 Courtenay Mazda: 2016 Mazda MX-5 Miata: Does It Actually Get Any Better Than This? 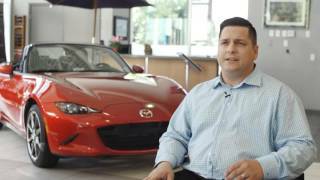 On this episode of Ignition presented by Tire Rack, Jonny Lieberman heads to Scotland to get his hands on the latest iteration of Mazda's famed and legendary roadster, the Miata. 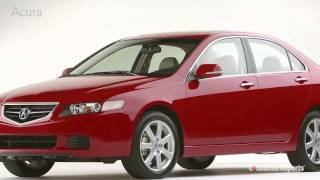 Motor Trend, having much to do with the creation of the first generation of this car, was particularly excited about covering this new model, considering the last generation model debuted nearly 10 years ago. The new Miata, featuring a 2.0l engine outputting 155 hp and 148 lb-ft of torque, aims to accomplish what made the original Miata such a good car, but is it actually better than the first, second, and third generation cars? Stay tuned while Jonny finds out. Now in its fourth generation, the latest MX-5 Miata sticks to the successful fun-to-drive roadster formula, but adds more room and features. Lighter, shorter, and less powerful, it avoids the industry trend of bulking up. 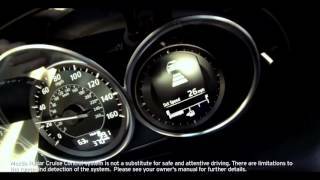 Delivering both thrills and therapy, the 2016 Mazda MX-5 Miata does a body good. 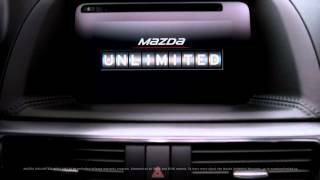 Mazda Unlimited Mileage Warranty - The Mazda Way: Creativity. Courage. Conviction. 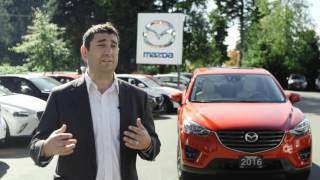 At Mazda, we've always believed that driving a vehicle isn't just about getting to a destination; it's about how you feel along the way. That's why we put so much passion into building cars that are fun to drive, because we believe that driving matters. And in our new advertising campaign named after this sentiment, you'll see this message expressed in an emotional way that says it all. 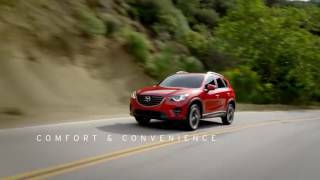 Over the next few months Mazda Canada will bring new ad campaigns on various platforms that speak to how driving is relevant for Canadian consumers, why Driving Matters. Sometimes the pressure in front of the camera is just too much. Watch our very own Chantelle Vaillancourt struggle through a few of these funny outtakes. 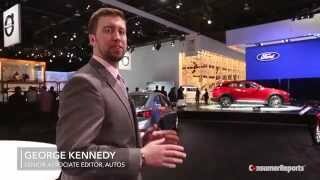 Stay tuned for silly moments around the dealership!